Annual renewal is required to remain tax-exempt under PBUSA’s group exemption. State-levied filing fees not included. Additional fees apply for 990EZ or full 990. State registration requirements vary. 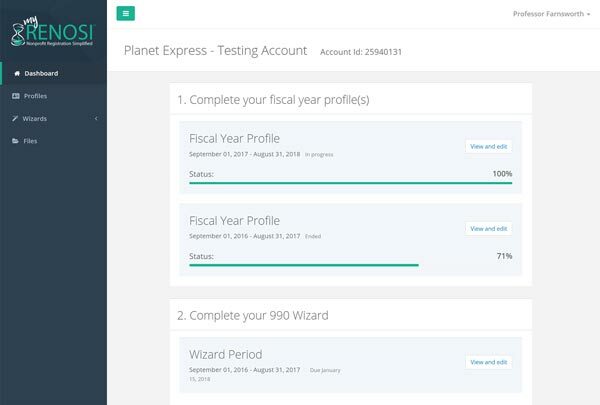 Your PBUSA online dashboard helps you keep track of what’s required in your state. You all let me know when everything is due and I don't have to do anything! NOT A SCHOOL BOOSTER CLUB? 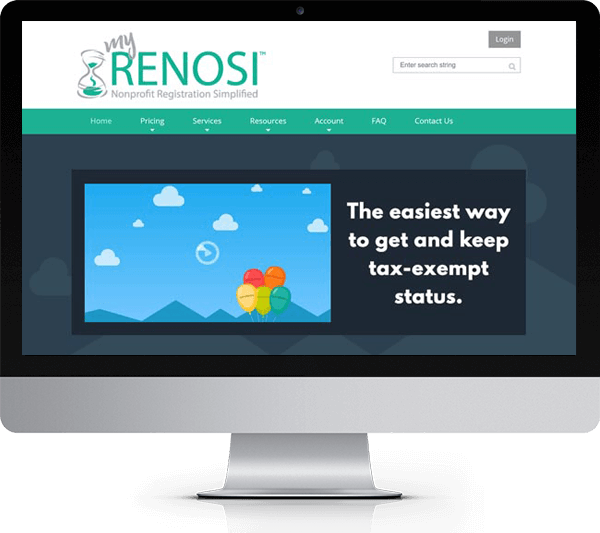 myRENOSI helps set up and maintain your nonprofit organization and its registrations. Nonprofit incorporation is important because it protects your volunteers’ personal assets from liability. IRS 501(c)(3) exemption makes contributions to your organization tax-deductible. This means more money for your mission. 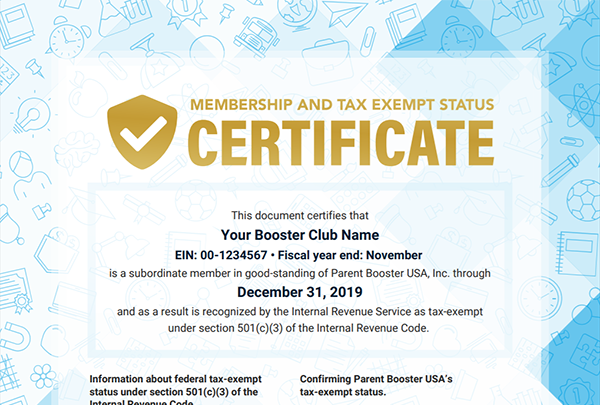 Parent Booster USA ensures your IRS and state registrations remain up-to-date, year after year regardless of volunteer turnover.